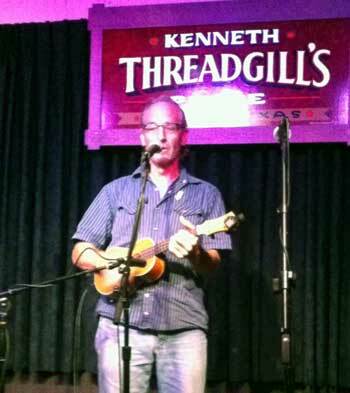 “We had a lot of fun and enjoyed terrific music Tuesday night during our “Ukes for the Cure” benefit event at Threadgill’s! Great turnout, lots of energy, and a large, appreciative audience! We also helped support a very worthy cause and people were very, very giving: the Breast Cancer Resource Centers of Texas will be receiving a donation of $600. Wow! Thanks to everyone who came to join the festivities and who gave so generously! 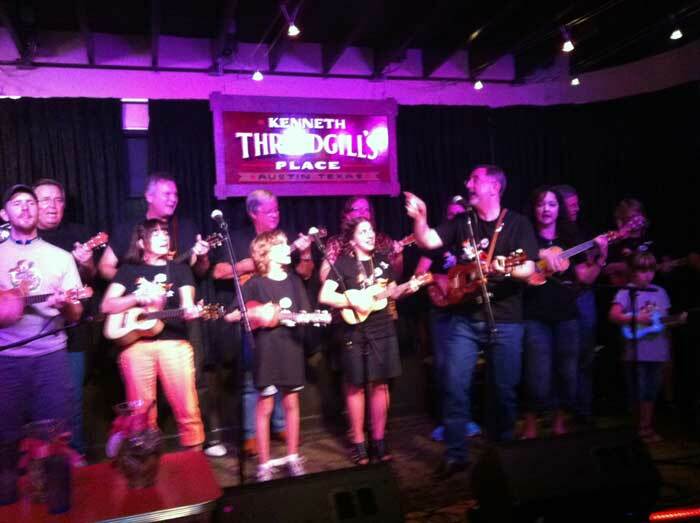 All of the performers who volunteered their time and talents: Ray Carr, Tim Keough, George Traugott and Lisa Alexander of the Pine Beetles, Kendra Korshak and Donna Rich of The Lunettes, Frank Meyer, Kathy Murray, Bill ‘Monster’ Jones, and all the members of the Austin Ukulele Society Ensemble. 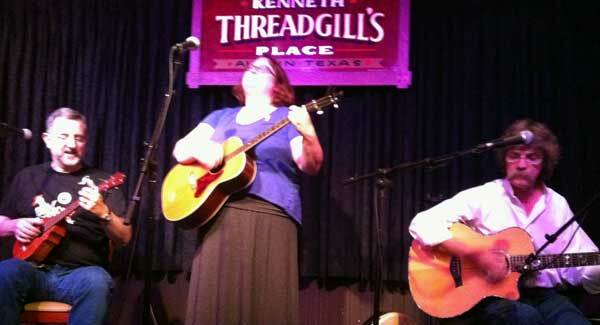 Steven, Mike, and all of the fine folks at Threadgill’s North for making us feel so welcome. 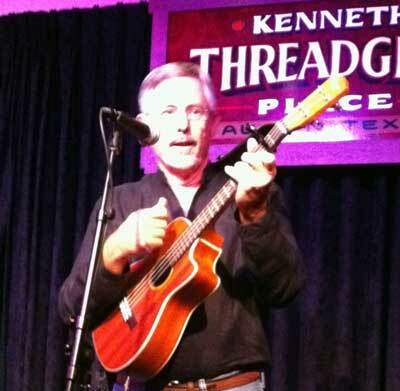 Brady Woodall, who was instrumental in finding us a new home for this event after we lost our original venue. Lyda Guz who designed the beautiful posters, as well as our fantastic t-shirts. Walter Minkel, our blog-master, who helped spread the word and keep us up to date. And extra special thanks to Jen Brown who handled so many of the behind-the-scenes details that made this event such a success. “Photos are coming in, and many have already been shared on Fac eBook. There were lots of cameras snapping pictures – so if you’ve got some you’d like to share please let us know. 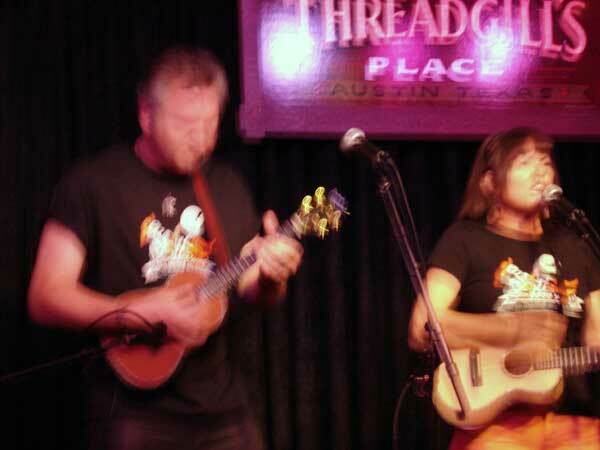 This entry was posted in AUS activities on October 25, 2012 by Austin Ukulele Society.